Many writers don't achieve greatness until late in their careers. Cormac McCarthy, for instance, didn't publish Blood Meridian until 1985, when he was 52 years old. He was over 70 when The Road and No Country for Old Men appeared. At the other end of the spectrum are authors who created masterpieces in their youth, then perished before their time. Here are profiles of five who fall into that category. All but one, Arthur Rimbaud, wrote in English. House of Usher, Poe's short and frequently miserable life is often presented as that of a typical tortured artist. Effectively orphaned at the age of two when his English-born mother died (his father had left the family a year earlier), he was taken in by John Allan, a wealthy businessman, and his wife, living with them in Richmond, Virginia for several years. He fell out with them, most probably because he squandered money and ran up gambling debts, had a very brief career in the military, and then for the rest of his existence struggled to make a living by editing and writing. Poe's most productive period was the first half of the 1840s, during which he gave the world such lasting treasures as A Descent into the Maelstrom, The Pit and the Pendulum, and The Tell-Tale Heart. His private life was as unhappy as his professional life. He married his cousin, Virginia Clemm, when she was just 13. Her death, 11 years later, left him broken hearted. Suffering throughout adulthood from severe alcoholism, Poe himself was dead within three years; his precise cause of death has never been determined, but by all accounts his final few days were dominated by physical and mental pain. Jean Nicolas Arthur Rimbaud is perhaps best known for having inspired a generation of rock lyricists, notably Patti Smith and Jim Morrison (who also died young). However, his artistic influence began around the time of his death of bone cancer. Born in northeastern France, Rimbaud has been hailed as "a true original, a poet whose impact has yet to show any signs of diminishing." His career as a poet lasted just five years; before his 21st birthday he stopped writing. He then earned a living as a solider, a coffee trader and an arms merchant, traveling as far afield as Indonesia before spending years in the Middle East and Africa. A great influence on Ernest Hemingway, befriended and lauded by Joseph Conrad, H. G. Wells and Henry James, Crane is today best known for The Red Badge of Courage (1895), a highly realistic novel depicting the experiences of a young man in the American Civil War, which ended six years before his birth. Crane was born on November 1, 1871 in Newark, New Jersey to a Methodist minister and his wife; he was their 14th and final child. He attended but didn't graduate from two colleges, and by his 17th birthday was working as an assistant to one of his older brothers, a professional journalist. He considered a military career but in the end followed no path in life except freelance writing. Moving to New York in 1892, he lived a Bohemian lifestyle, mingling with artists and lowlifes, gathering experience of the poverty that informs his novella Maggie: A Girl of the Streets. During his frequent travels, Crane often fell ill, contracting malaria on one occasion and yellow fever on another. However, it was tuberculosis - a common cause of death in that era - to which he succumbed on June 5, 1900 while staying at a spa in Germany. His body was returned to the USA for burial in the city of his birth. Toole's death by his own hand wasn't noticed by the world beyond his family, friends and former co-workers. 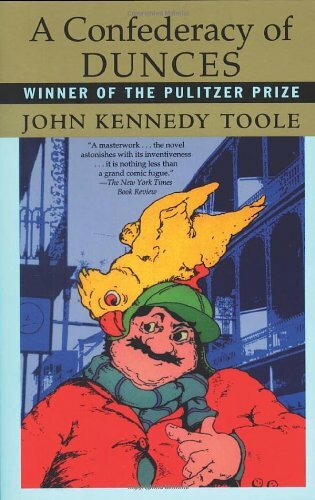 It took more than a decade before his most famous work, A Confederacy of Dunces, was published, hailed by critics and awarded the 1981 Pulitzer Prize for Fiction. A native of New Orleans, where the novel is set, his studied English at Tulane University and then Columbia University. Later he was drafted and stationed in Puerto Rico. It was there in 1963, while teaching English to Spanish-speaking US Army recruits, that he finished A Confederacy of Dunces. Toole submitted the novel to various publishers, and took the subsequent rejections harshly. His mental condition declined in the late 1960s. Once fastidious about his appearance, he began to arrive at work unshaven and in crumpled clothes. His friends observed an increasingly paranoid personality; he quit his teaching job, argued with his mother, then left home on a road trip which culminated with his suicide near Biloxi, Mississippi on March 26, 1969. The manuscript of A Confederacy of Dunces lay undiscovered in Toole's old bedroom for around two years, when his mother stumbled across it and began sending it out to publishers. Another round of rejections followed. Toole's mother persisted and got in touch with Walker Percy, a published author and professor at Loyola University New Orleans who eventually helped arrange publication. Walker later described his reaction to the novel, which Toole's mother browbeat him into reading, as one of "incredulity; surely it was not possible that [the novel] was so good." Toole completed just one other novel, The Neon Bible. Written when he was just 16, it was finally published in 1989, and turned into a movie in 1995. Lake, who died five before his 50th birthday in 2014, was an award-winning science fiction writer. Born in Taiwan to a diplomat father who later became US ambassador to Mongolia and then Albania, Lake grew up in various countries in Africa and elsewhere. He spent the last six years of his life battling colon cancer which spread to his lungs and liver. In 2004, Lake won the John W. Campbell Award for Best New Writer for his story Into the Gardens of Sweet Night. To be eligible, a writer must have been publishing professionally for no more than two years. It's a prize which has eluded, among others, George R.R. Martin, author of the books which inspired Game of Thrones, and Joan D. Vinge, a Hugo Award winner. (Hugos are science fiction's equivalent of the Oscars.) 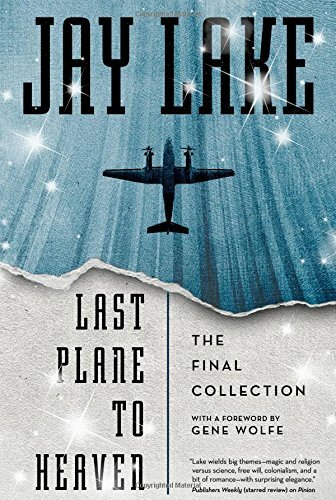 Despite his illness, Lake was very productive in his final years; his final collection of short stories was titled Last Plane to Heaven. I loved your article! great!